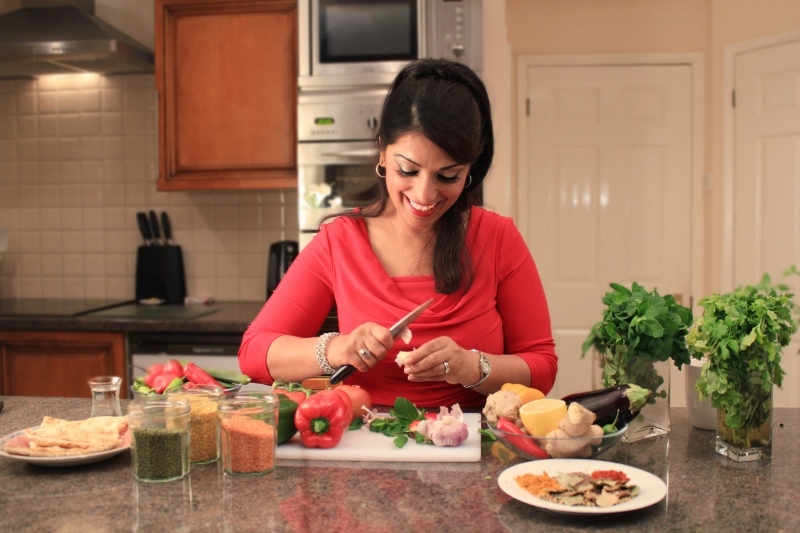 Raised in Bradford, 53-year-old Parveen Ashraf would never have guessed a ten-series prime-time TV show was just around the corner when Asian Express first featured her two years ago. 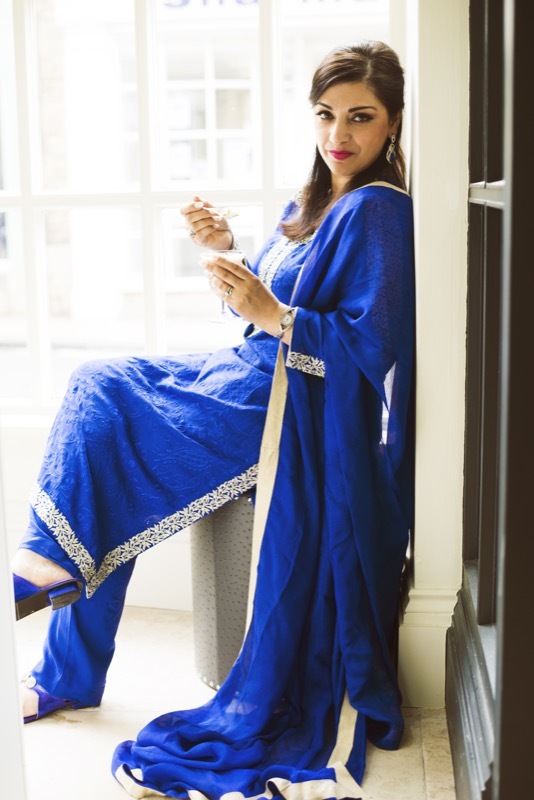 Described as the ‘Asian Nigella from Yorkshire’, Parveen caught Editor Andleeb Hanif’s eye after she made little ‘spice-bags’ and wrote up easy-to-follow recipes for her son, so that he wouldn’t miss his mum’s cooking too much while away studying at university. 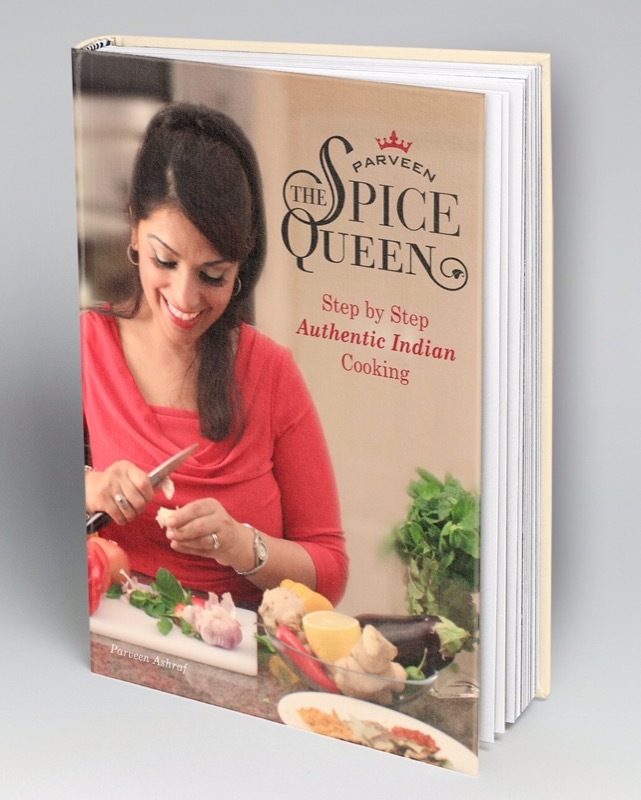 Her first cookery book had just been published which included her mother’s popular and favourite recipes such as chicken masala, lamb bhuna and samosas. But just as she thought that she might be too old for a TV career, she’s landed her own show on Sunday mornings on ITV. 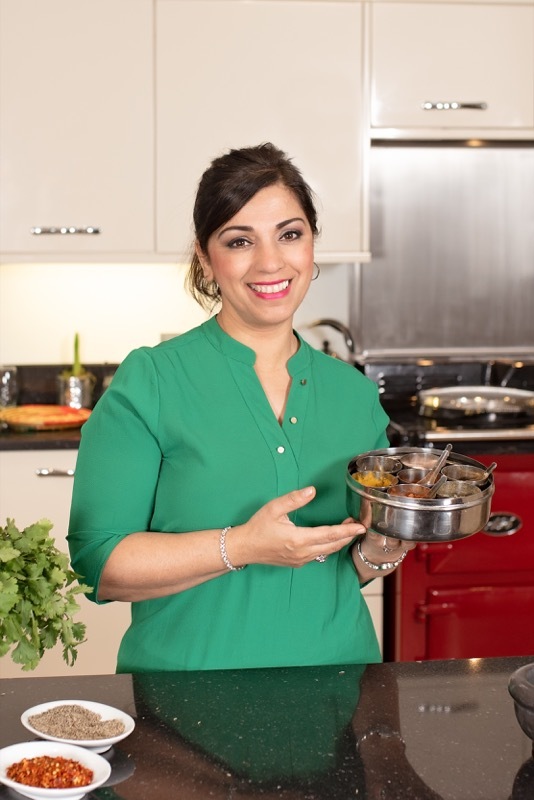 Over 10 episodes of ‘Parveen’s Indian Kitchen’, she shares her love of her native cuisine and hopes to demystify Indian/Pakistani/Kashmiri cookery with her simple, easy-to-follow recipes. “Well it has certainly been a rollercoaster of a ride since I was featured in the Asian Express a couple of years ago,” laughs the ever-jovial Parveen. The mother-of-three looks stunningly young on camera and TV bosses have drawn comparisons with Nigella Lawson, which understandably has left Parveen exceptionally giddy. “I’d be over the moon if viewers thought I was even a tenth of the person Nigella is! I am a huge fan and I’ve always loved what she does,’ says Parveen. She left Bradford after meeting and marrying her husband whilst working on reception at the National Museum of Photography Film and Television, now known as the National Media Museum. And even though she moved away, still loves to visit the city as she has family and friends that live there plus, she says, “the food up here is just fabulous”. “I have such lovely memories of growing up in the North. I am the middle child of seven and certainly lived up to the title of 'middle child'. I was so full of character and always wanted to be the centre of attention, so I suppose presenting on camera was the meant to be. “The focal point of our family life always was meal times. Formerly, the celebrity chef was working as an Ofsted inspector and her cookery career almost happened by chance due to an abrupt change in her health circumstances. Parveen became serious illness in 2007, she discovered a lump in her stomach which was diagnosed as a desmoid tumour - a non-cancerous but aggressive growth which was rapidly spreading throughout her abdomen. 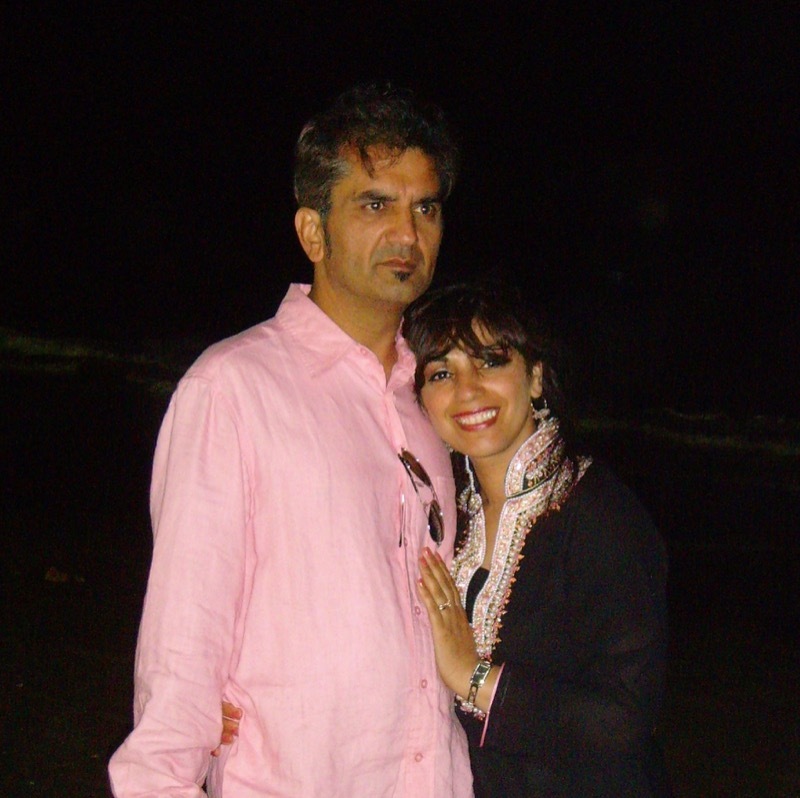 After four major operations in one year to remove the tumour, Parveen’s husband Qamar told her she needed to quit her job and ‘do what she loved’. So from then on Parveen focused on cooking. 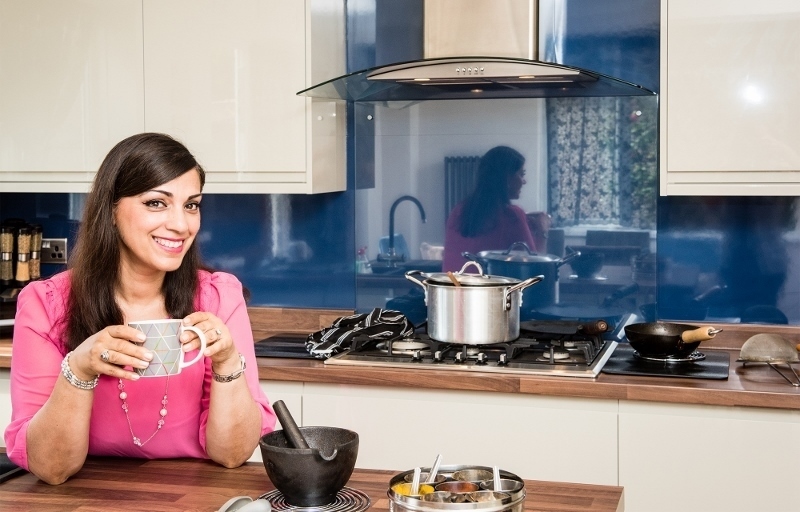 She’d been working flat out for 10 years teaching cookery and catering for Indian dinner parties, but she still hadn’t achieved her dream - to host her own TV cookery show. 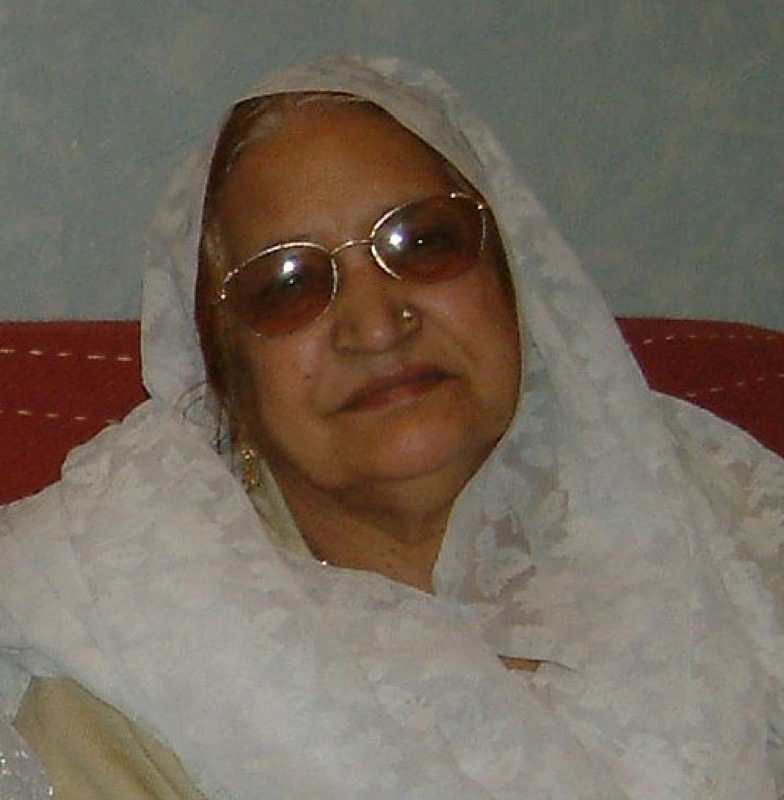 “Whilst my beautiful mother, Begum, was on her deathbed, she reminded me that when I was born I was in an incubator for the first three months of my life. She said I was a fighter and she believes my first few weeks in life had made me resilient. “At the time, I’d written a manuscript for a cookery book but I couldn’t find a publisher. I also felt I was getting too old for TV and that maybe it was time to admit defeat. 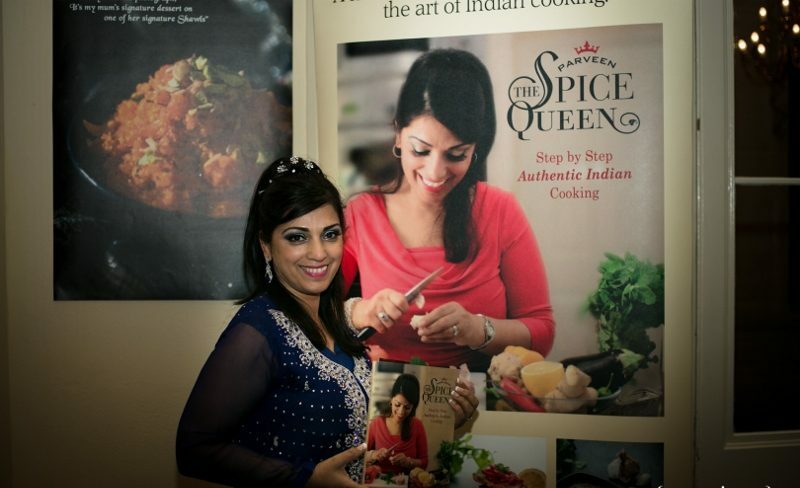 Soon after her mother’s death, Parveen did successfully have her first book ‘Parveen The Spice Queen’ published. She was cooking for people, hosting cookery lessons and doing cookery demonstrations at festivals and fetes. “Anywhere I could be seen - I was there. And eventually, after a LOT of hard work, my dream has come true and I’ve finally got my own TV show,” says Parveen. But then came the big opportunity from ITV to to showcase her mother's recipes to millions. 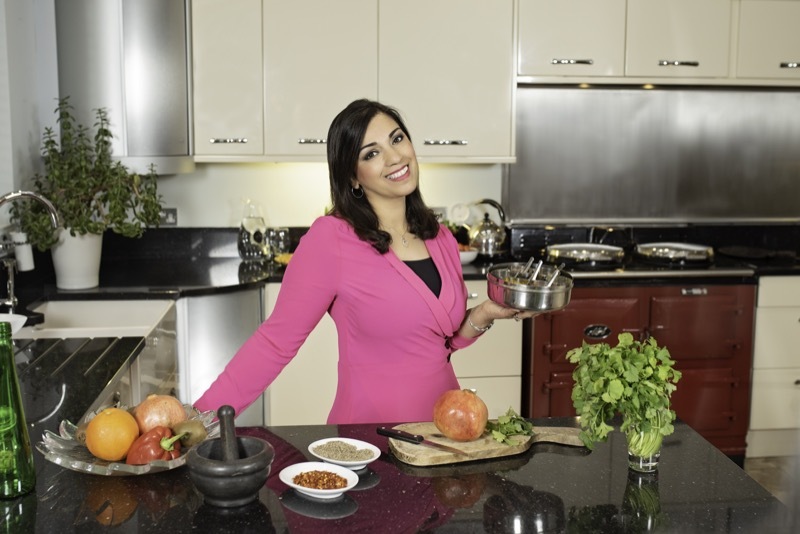 To prepare for TV celebdom, Parveen’s had voice-coaching, styling and lots of lots of advice from producers. “Experiencing filming for mainstream TV has been quite surreal,” confesses Parveen. “There I was little old me, being produced and directed by the best in the business. “I was a tad nervous and was waiting for some real pearls of wisdom. The camera starting rolling and my producer said, 'O.K. Parveen, just be yourself.' So, I was. "The really interesting thing is, that when I first began filming, it felt like my mother was right there - watching me. It was truly a surreal atmosphere! Admitting that her husband and children - Cyrus, 21, Sherine, 27 and Imran 28, are her biggest critics, but at the same time are her biggest fans, she says they keep her grounded and are great sounding boards, especially when she cooks a new recipe.